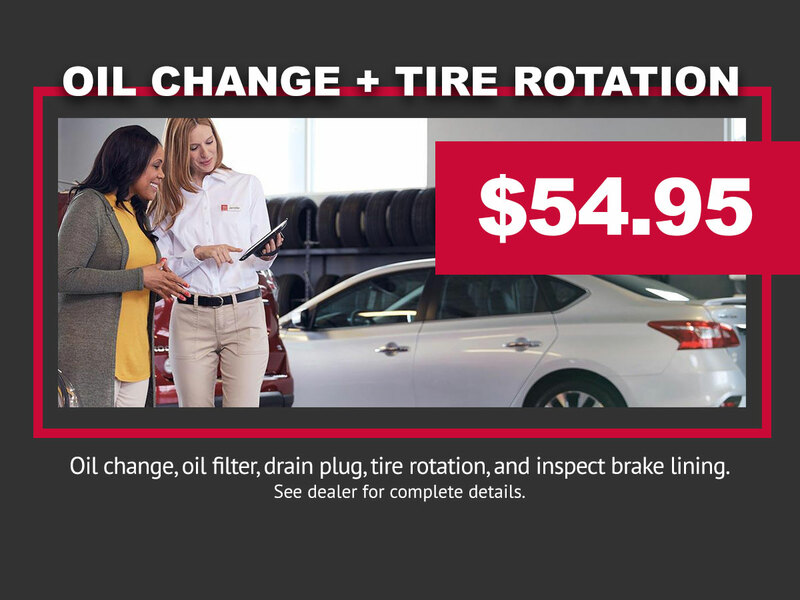 Includes: Oil change, oil filter, drain plug, tire rotation, and inspect brake lining. *See dealer for complete details. Internet Special. Must present at time of write up. Offer Expires 01-31-2020.